In Blended Learning face to face class sessions are alternated by activities of students and teachers in an online learning environment. 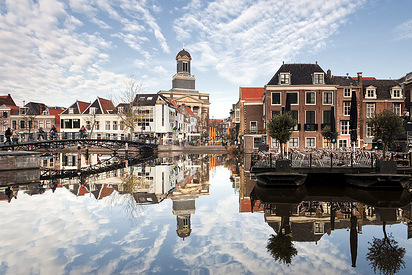 During three weeks the Leiden Summer School will offer participants a wide range of strategies, hands on experience and tools for implementing Blended Learning at their own institutions. Participants produce their own Blended Learning training materials, but will also work on an organizational change project for their own institute or department. All work done will be supported with theoretical models, practical tools and tailor made solutions by peers, instructors and guest speakers. The course is demand driven, hence the actual content of the Summer School will strongly depend on the questions and projects of the participants. The course itself will have a Blended Learning design, which means participants are requested to do work prior to the course and make assignments during the course. After the course they have an action plan for implementing new or improved programmes at home. The Summer School is offered by highly trained and experienced professionals who are working in Higher and professional Education in the Netherlands. Moreover they have ample international experience.